The sight of Pakenham football legend Jock Holland in Nar Nar Goon gear on Saturday for the club’s West Gippsland Football Netball Competition season-opener would have gnawed at Lions supporters – and brought back bad memories of a few longer term fans. 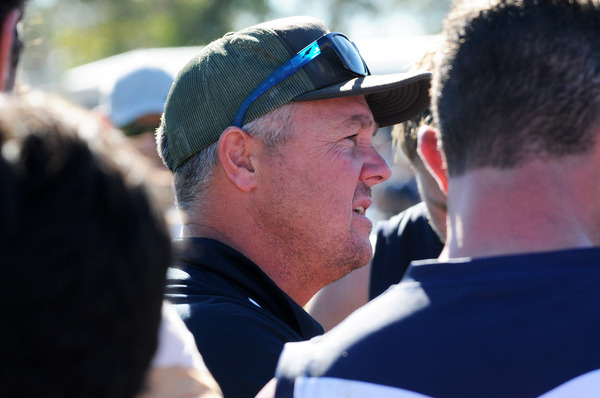 The two clubs have had a spirited rivalry over many years – heightened by a couple of high profile ‘defections’ – and the arrival of Holland this season to mentor first year coach Dean Blake only adds to the rich history between the two clubs. Holland is a former champion player and coach with the Lions and in 2005 was named at number three in the top 25 players over the previous 25 years. His ‘defection’ is rivaled by that of club legend Bill Drake to the Goon in 1965 and another famous Pakenham name, Pat Monckton, in the 1970s. Long-time Pakenham administrator Graham ‘Uncle’ Treloar says tensions between the neighbouring towns has settled down a bit of late because the two clubs have not played each other for a decade. But another former Lions champion Dan O’Loughlin, named just behind his mate at number four in that team of 25 years, says it is hard to watch Holland don the Goon gear. “Nar Nar Goon is at it again,“ O’Loughlin smiled. “Not only have they taken our top five players from last year, now they’ve taken the best coach we’ve ever had. Treloar said the rivalry was at its peak in the 1950s, ‘60s and ‘70s. It got to the stage where several Lions supporters would not patronise Pakenham butcher Claude Gook because he had blue and white striped tiles out the front of his shop, similar to the Nar Nar Goon strip. A third generation Pakenham barber, Treloar said he hated being beaten by the Goon, but said it was good for business. “If they won, everyone from Nar Nar Goon would be down that week for a haircut,” he smiled. When the Nar Nar Goon Hotel blew up in 1972 after an accidental explosion, it followed a clash between the two clubs. Treloar remembers getting a phone call – he can’t remember if it was from Dan Cunningham, or his son-in-law Bill ‘Doc’ Doherty – to the effect that the rivalry had gone far enough. “I know we don’t like each other, but you’ve gone too far this time… you didn’t have to blow the pub up!” the caller said, tongue firmly in the cheek. The 95-year-old Doherty, a former Nar Nar Goon club and West Gippsland league president, doesn’t recall the exchange, but says it is something he would have said. 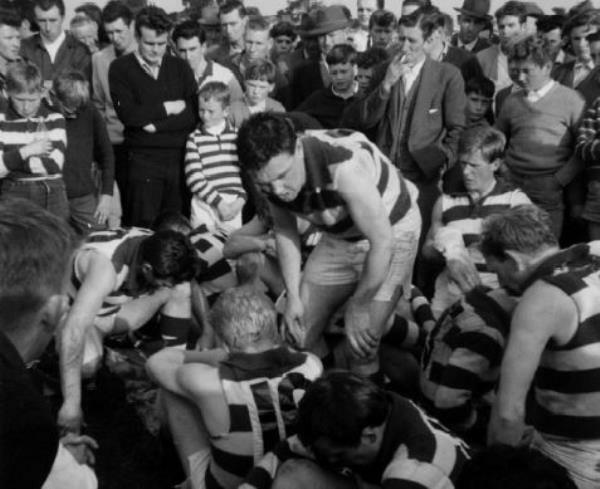 Doherty said the rivalry between Nar Nar Goon and Pakenham went right back to when the league started in the 1920s – the era of the Cunninghams and the Jacksons – and there was always a wager on the outcome of a match between the two clubs. “We used to knock around with all the Pakenham players,” he said. “One day we were playing Pakenham and as I was running past their trainer Percy Young, Stan and Daryl’s father, he gave me gave me the greatest punch in the guts I’d ever had. Doc, as club president at the time, was the mastermind behind the Bill Drake coup in 1965. It worked a treat, as the Goon won the flag that year, breaking a 28-year premiership drought, with Drake at the helm. He was a one season wonder at the Goon, leaving the following year to take up a player-coach role at Ainsley in the Canberra league. The defection didn’t go down too well and Drake didn’t move in Pakenham football circles for a few years after that – coaxed back to the fold by Treloar for centenary celebrations. Treloar says the sting has gone out of the rivalry over recent years because the two clubs don’t play each other. 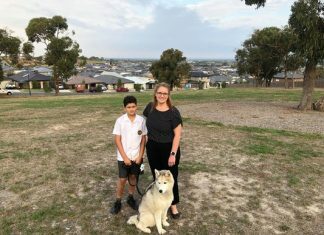 So he says there’s a fair chance Jock Holland will be welcomed back into the Pakenham fold when he’s finished helping out his mate at the Goon. And the pub may not need to increase security in fear of an unexpected explosion!